Offering integration, reusability, and scalability, the new, high efficiency Integrated Control Systems from Hurst Boiler for remote boiler room monitoring and communications provide advanced supervisory boiler controls for all new and legacy Hurst products. Our new, highly advanced integrated control systems are easy to use and provide many efficiency enhancements. A family-owned business serving the global market, Coolidge, GA-based Hurst Boiler & Welding Co. has developed and manufactured coal, solid waste, wood, biomass, and hybrid fuel-fired steam and hot water boilers and packaged systems from 6 to 2,500 bhp and pressures to 450 psi since 1967. Hurst Boiler is proudly introducing their comprehensive line of high efficiency integrated boiler control systems featuring graphical visualization and information collection to facilitate easier and better operational management of boilers and supporting peripherals. Each integrated control system provides cutting edge PLC control and HMI interfaces devices. Facilitated by the Siemens TIA Portal, the system is able to share a lot of data with other programs. Hurst Boiler’s new line of processor-based smart controls is fully compatible with all Hurst designs including alternative fuel boiler models. Their new high efficiency integrated control systems can be easily adapted to any existing Hurst boiler system, making it possible for all Hurst customers to upgrade to the new, seamless technology to take advantage of the savings and efficiency benefits it provides. To facilitate centralized control and data collection, Hurst’s BOILERMaster brings all the aforementioned components into a concise overview. This provides a central point of control and collection of all the information about the HURST connected equipment. Further options are available for logging, remote monitoring, webserver, email and sharing the data collected. Customers benefit from the ease of use and the ability to pinpoint problems or ways to improve overall efficiencies that will offer significant fuel and overall cost savings. So Hurst really has covered all the bases. In recognition of Hurst's innovative use of their PLC, VFD and HMI products, Siemens Automation recently featured Hurst Boiler in their TIA Portal video and Control Engineering magazine article. The TIA Portal is the newest and most innovative software from Siemens really adding a dimension not seen in the automation arena in many years. Coupled with the Siemens broad product offering and world wide support, Hurst leads the way in world class controls. 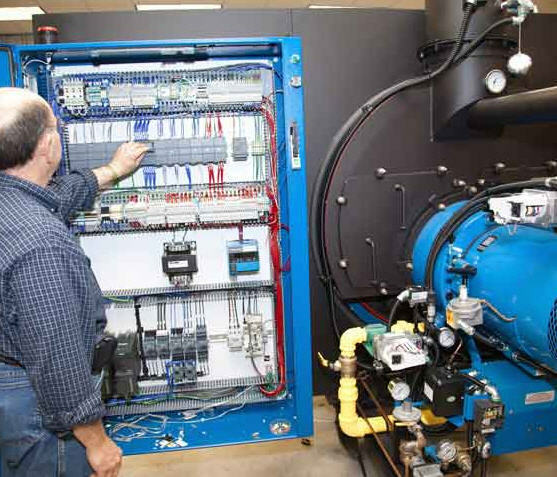 Hurst Boiler’s advanced integrated control systems offer precision control for increased boiler plant productivity, lower fuel costs, reduced emissions, and lower maintenance costs. 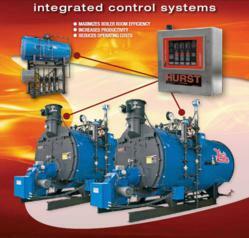 For more information about Hurst Integrated Control Systems, visit http://www.hurstboiler.com or call 1-877-994-8778. To experience the integrated controls first hand, visit Hurst Boiler at Booth # 4949 at the upcoming 2012 AHR Expo, January 23 – 25, 2012, McCormick Place North and South, Chicago, IL, for a live demonstration.